Sneak past newly aggressive creatures, with the aid of decoys. 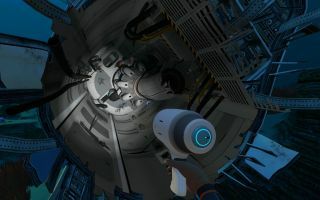 A few days ago, undersea survival game Subnautica received a humdinger of an update that added a new Silent Running mode to your aquatic exploration pod. This plays into one of the update's other big features: dangerous creatures that are newly interested in your previously safe Cyclops vessel. You'll need to enable Silent Running mode to deal with them, which turns off all exterior lights, replaces interior ones with an eerie red glow, and slows your pod the heck down, so you can sneak past those aggressive undersea monsters. Other new features include a revamped Cyclops UI, a terrain-scanning sonar update, creature-detection on the HUD, and the ability to launch creature-distracting decoys. If the Cyclops vessel has been a harbour of refuge for you from the scary deep, you might be a little concerned to hear that it's just been made more fragile—it can even end up wrecked if it takes too much damage. "Not only do creatures take an interest in your machine," the extensive update post explains, "but once damaged, the Cyclops can become wrecked. Take precautions necessary to mitigate emergencies onboard your ship. Luckily, Fire Extinguishers now have fancy wall holsters to aid in your firefighting. Use the Holographic Status display to monitor for damage and fires. Once the Cyclops reaches hull strength of zero, it will become wrecked. It can be salvaged for materials used in building add-ons later, but the machine itself can no longer be repaired or deconstructed". You can read the full details of the update here.